Beck has long been lauded as a shape-shifting musical chameleon, but even transcendent, genre-hopping geniuses hit a wall at some point — and, frankly, he did. From the mid 2000s onwards, most of Beck's albums have repeated earlier sounds and formulas: 2005's Guero fused the samples and worldly grooves of Odelay and Mutations into one LP; 2006's The Information felt like a sampler plate of everything he'd done to date; and Beck's PR itself referred to 2014's folksy, back-to-basics Morning Phase as a "companion piece" to 2002's Sea Change. None of this is a bad thing, though, and here's why: more than just a master of genre mimicry, Beck is a hell of a songwriter. His knack for melody, clever turns of phrase and chord progressions have always provided the solid core structures of his best work; the washboard percussion, waggish samples and warm guitar that came to dominate discourse about his music were decoration. 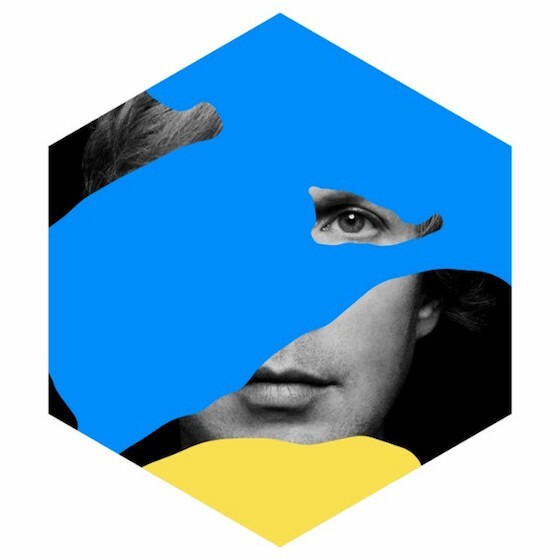 On Colors, his boisterous new record, Beck dresses some of his best-constructed songs to date in refreshingly new sonic garb. True chart-leaning pop music — accessible, party-centric and catchy as hell — is a genre Beck hasn't worked in before, but with the help of co-writer and producer Greg Kurstin (Adele, Sia, Kylie Minogue), he pulls it off here with aplomb. Intended as a series of songs designed to "translate into a fun live experience," Colors is vibrant, warm and, most importantly, memorable; these are tunes you'll carry with you on the bus, at work and in the shower. The record's title track and opener is upbeat, but conveys a sense of yearning via its beatless, atmospheric pre-chorus and echoed, pitch-shifted chorus. "Up All Night" is a till-dawn party jam that doubles as a love song, "Dear Life" is a jaunty piano-pop gem that evokes Elliott Smith at his most chipper and peppy highlight "No Distraction" features Beck's most soaring moments to date, with just enough of the bombast that Kurstin lent Tegan and Sara's last two albums. It all comes to a close with the early morning sweetness of the album's only ballad, "Fix Me," a perfect ending to the album's just-right 45-minute runtime. Some listeners will have complaints that much of the tracklist has been released already — "Wow" and "Up All Night" were out in June and September of 2016, respectively, and "Dreams" dropped mid-2015 — but these songs, with the possible exception of "Wow," sound better than ever in the record's timeless, all-night party context. That said, Colors isn't without its flaws. Beck's pseudo-rapping, which he was lauded for in his early career, hasn't aged well on "I'm So Free," and "Wow" feels as dated and lazy as it did the first time we heard it years ago. And though purists might argue there's nothing truly Earth-shattering here — those looking for stir-your-soul depth should revisit Sea Change — that was never the aim. Colors is a breezy, tightly composed party-starter of a record that doesn't demand much of the listener, but gives back generously.